Emipro has been providing a wide range of business solutions in the domain of ERP & eCommerce. We take pride in serving 1000s of contented customers across the globe with strong roots in the US and Europe. 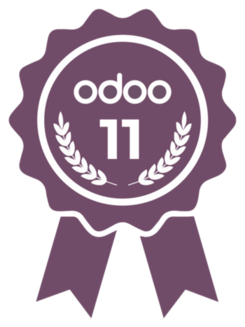 Being a Certified Odoo Gold Partner in the United States as well as India, we bring our rich professional experience and unrivaled technical competence to help our customers obtain efficient and cost-effective business solutions in Odoo. With our team of 50+ Odoo Experts and highly experienced business analysts, we serve our customers which are companies of all sizes, ranging from start-ups to large enterprises. BESECURE is dedicated to the delivery of security services and solutions of exceptional quality, design and value that enable customers to mitigate and manage security risks that threaten their competitive advantage or market position. BESECURE's vision is to establish itself as the most trusted information security services and solutions provider to companies that manage critical information. In Esencia Roja we offer our clients products of recognized prestige and maximum quality, taking care of all the details in each step of the sales process and assisting them in the positioning and sale of our products, creating unique experiences for the final consumers. Good Life operates under the unique business philosophy that an imaginative idea can become a breakthrough invention. Our products have been featured in newspapers, magazines, websites and TV shows and are used every day in homes and businesses around the world. Interior Design is an Online interior design community for the Indonesian market. We make Interior Design very personal, affordable and easy. Htrading Australia Pty. Ltd. based out of Sydney, Australia is a B2B Online Trading between Australia and South Korea. We are a leading distributor of e-liquid in the state of Indiana that will help deliver product to your door on your terms. Level Up Wear, or lvlp in short, is all about revolutionizing the gaming merchandise landscape. It was created in 2007 in Brussels, Belgium by a group of gamers with the intention to be the #1 gaming merchandise brand in Europe. Our weapon is a winning mix of original, fashionable designs and best-in-class quality, unleashed on some of the best games out there. MI Sports is “Your One Stop Swim Shop”. Specializing in swimwear, screenprinting, and embroidery, MI Sports is here to help meet your swimwear needs! MI Sports has been in business since 1978. We travel all across the state of Colorado servicing swim teams with all of their swimwear needs. We custom print and embroider in-house, allowing fast delivery and exceptional quality. We are dedicated to servicing our customers and we will stand behind our products. Biolumiere Organics by Nicolette Sheridan - All-Natural, Toxic Free Skin Care and Beauty Products. Oak & Mie is a Global Commercialisation Accelerator for innovative, new and original products. Connecting more sellers globally to more buyers locally and taking care of everything in between. No Middlemen. No Drop Shipping. No Hassle. Our story began in 2003, with a one van pool and spa maintenance business operating from our home garage and servicing Brisbane's bayside in South East Qld. This quickly grew into a multi-award winning pool and spa shop franchise, with the highlight being awarded the 2004 SPASA QLD Pool Shop of the Year. Having had many great years, we took an opportunity to sell the business in 2011. **Passionate about tattoos, with more than 15 years of experience in the tattoo world, the Steelwave team does everything to satisfy tattoo artists with quality equipment. We use our experience and our passion for tattooing and equip the tattooist to select the material that will fit your style. **Passionné de tatouages, fort d'une expérience de plus de 15 ans dans l'univers du tatouage, l'équipe de Steelwave fait tout pour satisfaire les tatoueurs avec du matériel de qualité. Nous mettons à profit notre expérience et notre passion du tatouage et l'équipent du tatoueur pour sélectionner le matériel qui sera en adéquation avec votre style. Founded in 2002, Stonebridge Imports offers both consumers and retailers a welcoming and warm environment where they can find everything from natural stones, crystals, and mineral specimens, to jewelry and home furnishings. Founded in 2009, The Jolly Savage has rapidly established itself as one of the UK’s leading surplus toner companies, specialising in the purchase of unused toners from a range of businesses and industries nationwide. Wiredzone is an international reseller of high-end computer products and services. ZFlow LLC is a brand building company. We have two brands under development at the moment. Zflow Ventures and Adventure Gear Outfitter. Zflow Ventures is a general good home brand providing cleaning supplies and microfiber products. Adventurer Gear Outfitter provides lightweight strong outdoor gear at a very affordable price.